Would The U.S. Survive Another Battle of Okinawa? It’s hard to believe the resolve the United States once showed in defeating enemies. One wonders if in a 24/7 news cycle of “living room wars” whether this nation could have ever mounted the sustained effort it took to join the Allies in stopping Nazi Germany and Imperial Japan. Americans today would find such will to win at any cost difficult to comprehend. 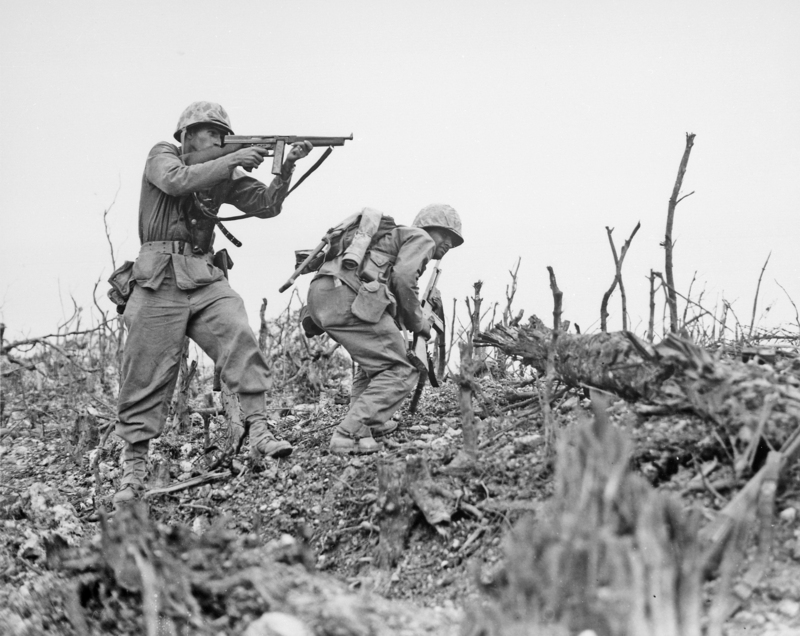 Perhaps with Easter just passed, it is fitting to remember Easter of 1945 when the invasion of Okinawa, the last battle of World War II and the largest sea-air-land operation in history, began. It would also be the bloodiest campaign of the Pacific and a grim foretaste of what to expect in the planned invasion of Japan itself. On Easter Sunday, April 1, 1945 the landing crafts carrying the first wave of the U.S. Marines and Army G.I.s chugged towards the beaches of the island of Okinawa, just 350 miles south of mainland Japan….